The Carer Watch forums forced offline by Atos Origin are still not back despite Atos claiming to be willing to negotiate. It now appears that Atos are refusing to even state which posts on the site, a volunteer-run online meeting place for disabled people and their carers, they have deemed to be ‘libellous’. This is the third website run by disabled activists and supporters which has been closed down by legal threats from IT company Atos Origin, despite no evidence that they have ever sought any redress via a court order. In previous cases Atos have objected to parodies of their company logo (legal in many countries and a grey area in UK law) as well as the phrase ‘atos kills’ and the name of the Atos Register of Shame website (now back!). In this latest development Atos have closed Carer Watch without even specifying which content they found libellous. This is a worrying precedent and should concern all who use the internet as an alternative source of news. It now seems as if any website even vaguely critical of Atos can face having their site taken offline after legal threats to their server/hosting company. This vicious attack is an attempt to silence disabled people from talking about their experiences of Atos’ disability assessments, which have led to thousands of sick and disabled people being wrongly stripped of vital benefits. 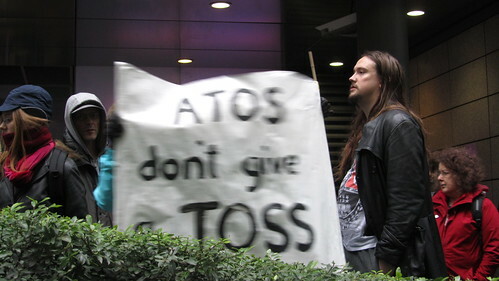 This is all happening against the backdrop of a major Atos Corporation rebrand. 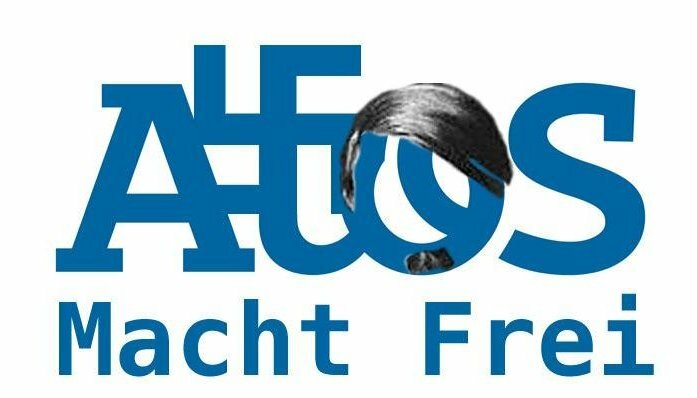 Atos have a new logo, revamped website, new facebook pages and appear to have adopted a more aggressive approach to promoting themselves online. As they ironically will be managing IT systems for the paralympic games it is little wonder they want to hide the true face of their company – an organisation that has harrassed and bullied disabled people into suicide. Since Atos seem so precious about their logo then online activists have been helping with their rebranding by suggesting a more honest corporate identity (see pics attached). If you have a blog, website or facebook page please republish the images, or come up with your own, in solidarity with the websites already closed. It is vital that every time Atos try to silence us we shout louder. The internet is good at that kind of thing. Atos’ new facebook page can be found at: http://www.facebook.com/Atos?sk=wall comments aren’t staying up long, but there is a list of alternative Atos facebook pages to join on the left. Atos can be contacted on 020 7830 4444, ask for James Loughrey. Finally please support and promote the next National Day of Action Against Atos on the 30th September. Organise locally or join us in London outside the BMJ Recruitment Fair at the Business Design Centre in Islington.